Xavier Thames is headed to Brooklyn while Kawhi Leonard can go ahead and plant his roots in San Antonio, but what about the other guys? Steve Fisher's roster will be loaded with talent in '14-15, so fans might already be asking, "Who's making it to the NBA next?" Rather than looking too far ahead, there are three more former SDSU players already there - Jamaal Franklin (41st pick in 2013 by Memphis), Malcolm Thomas (62 games between NBA and D-League since '11-12), Chase Tapley (28th pick in 2013 D-League draft by Tulsa) - fighting to prove they belong and deserve a roster spot. Tapley was a two-time all Mountain West Conference player in college and his shooting ability drew extra attention from the defense wherever he found himself on the floor. The questions surrounding him at the NBA level are his size as a SG (6'3", 195) and athleticism. I'm not going into a rant about the general reliance on "athleticism". Most people aren't able to see past those two things at all. Thomas was irreplaceable as an Aztec for his shot blocking and rebounding. He's relying on those two skills to land him a spot on an NBA roster. He's added the 3 point shot to his game, shooting 20-46 (43.5%) in 12 D-League games in '13-14. You figure he'd get open looks in the pick and pop and NBA teams would most definitely take a look at a guy that can rebound, block shots, and hit threes. Franklin did it all for the Aztecs in '12-13. The questions begin and end with his jump shot. If he's going to be a catch and shoot threat, there is a spot for him in the NBA for a long time. In 16 games for the Fort Wayne Mad Ants in '13-14, Jamaal shot 24-65 (37%) from deep. That's a start; hopefully the percentage doesn't slip when the attempts increase. The great thing about the D-League? Their stuff can be accessed freely. There are plenty of highlight clips focusing on one player, but also full games for our viewing pleasure. I'll be sure to link to everything that I view. Let's dive right into it, starting with the backboard self-alley-oop championship belt holder, Jamaal Franklin. In addition to the clip above, there are four more Jamaal-centric videos for our viewing pleasure thanks to the D-League and the Mad Ants. 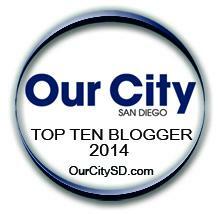 Check below for the links to those. These highlight clips showed us the obvious parts of The Grindson’s game that have traveled with him – the ability to finish inside, occasional but great work on the offensive glass, and very good use of the Euro step/step through/up and under/floater off glass. You’re probably hoping to see lots of made 3s from him, which would be a good sign. He cashed in from long range in a few different ways. We saw a straight walk up three, a spot up, a few after a crossover and slight hesitation, one from the pick and roll, and another coming from a dribble hand off. Seeing makes was nice, but I was happy knowing he got and made those shots out of different actions. In a March 1 match (full game link) against the Iowa Energy, Franklin tallied 35 points (8-15 fg, 4-7 3fg, 11-11 ft), 7 rebounds, 11 assists, 2 steals, and 2 turnovers in 35 minutes. He was looking to drive and kick throughout the game. A catch and shoot 3 from the corner in the first quarter got him going a bit. A couple of his threes later in the game came off the dribble. Below is the kind of decision that leads to questions about shot selection. Those ‘slow, walk up, two times between the legs with a slight hesitation’ pull up jumpers are the inefficient ones that the analytics crowd wants gone from the game. It was funny hearing former players trying to turn LaMarcus Aldridge’s midrange success from the playoffs into a reason to rebuke analytics all together. Wide open shots for really good shooters are always desirable. Tough shots like these aren’t ideal for anyone. He continues to catch defenders off guard with his ability to quickly stop or slow down and veer left or right just enough to get off a good running shot or buy some time to find a teammate on the perimeter. Defensively, there’s not much to take from a D-League game; he did get caught standing straight up against Othyus Jeffers, who took him to the bucket twice. Scouts and the like have shown concern with his tendency to dribble and defend standing upright since the drafting process last summer. Now, Franklin can be a tough guy to keep out from under the basket when he fights for offensive rebounding position, but I think he could be an absolute terror crashing from the perimeter even at the NBA level. If his man turns his back to him as he did above, Franklin has a free sprint at the basket to time a potential tip in. He was successful on this try, starting from the left corner in the first image and finishing with his left hand at the rim in the second. Franklin did the same thing from the top of the key in the January game, almost finishing a monster tip slam. But that scenario is far less likely in an NBA game because those guys at the top will often get back on defense because, well, transition defense matters in NBA games. See the screen grabs of that attempted follow up here and here. Franklin made two really nice kick outs in the January game. Seeing the image directly above, what would you guess Franklin had done? He could have attacked the 3 defenders and used his superior leaping ability to get a shot in the lane, but he made the pass to Ramon Harris in the weak side corner even though Harris didn’t have his feet set quite yet. In fact, at that exact moment, Harris may have been moving more forward that backward to the corner. And now you see Franklin’s mid-air kick out to Harris for the game winning three at the buzzer. This second read was the easier of the two, but it isn’t just about Harris making the shot and Franklin making a pass. I’ve been blown away at how far fans have run with some simple shot selection concerns. It can be tough to convince really good basketball players to take the easy play every time. Sometimes they get bored with it. In those cases, Franklin didn’t at all and that’s an encouraging sign. About two months earlier against the Energy (full game), Franklin poured in just 8 points (1-9 fg, 0-3 fg, 6-6 ft) to go along with 5 reb, 3 ast, and 1 turnover in 26 minutes. Nothing stood out enough to differentiate Franklin’s effort two months apart; he just made more shots the second time around against Iowa. Two long range attempts didn’t quite fall late in the January match up. Those two were the kinds of shots Franklin hit in his 35 point game. A 1-9 shooting night might look bad for a guy who should be dominating the D-League, but he wasn’t taking terrible shots or mailing it in. Jamaal Franklin hit some tough shots this year in his time with Fort Wayne, but he has always welcomed that pressure. 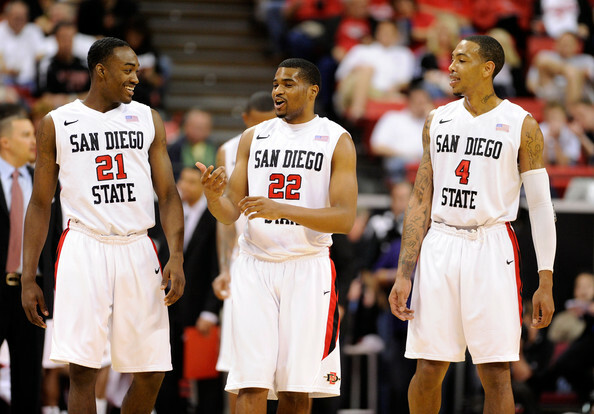 Fellow former SDSU lead dogs Chase Tapley, Xavier Thames, and even Kawhi Leonard weren’t going to shy away from a moment. That says something about what they learned from their time in college. People want to see him shoot more as a spot up guy. NBA minutes are the best gauge for his ability to do that. Close outs will be more urgent. Jamaal Franklin is good enough to get and keep a spot on the ’14-15 Grizzlies roster. Memphis seems to be struggling to find a happy middle ground – a few years ago they were desperate for help on the wing. Now, they couldn’t be more loaded with bodies out there. Franklin will continue to play the waiting game this summer in that regard, but he’s got a great opportunity ahead of him in the Orlando Summer League. His biggest competition very well may be one of his new teammates, UCLA’s Jordan Adams, who was selected 22nd overall by the Grizz. Check out more Jamaal Franklin D-League highlights below as we move along to the second of three former Aztecs – Malcolm Thomas. The two games Malcolm Thomas played with the Los Angeles D-Fenders (11/23 and 11/30) stood out to me. Not just because he scored 67 points in those two games. Not because of the 15.5 rebound average, either. Not even the comfort in knowing I’d also have the unique privilege of soaking in an equal dose of teammate Ryan Kelly posting dudes up was enough to get me excited to watch. Thomas attempted 13 threes in those two games and made 8 of them! This is two years removed from Thomas’ first D-League season in which he attempted just 3. I tried to capture some of those attempts for you as best I could from the number one ranked prospect in the D-League of ’13-14. The form is fine and the shots were falling. Kawhi Leonard said “no way” to the news of his former teammate drilling 6 shots from deep November 30 against the Santa Cruz Warriors, but he did. Part of it was the laziness on behalf of the man guarding him – Hilton Armstrong was not paying any real attention at any particular point in the game. I’m very excited to see Thomas share the floor with Dante Exum and Rodney Hood for the Jazz in the Vegas Summer League (hopefully that actually happens!). After hitting multiple shots from 3 in four of the first five summer league games of the year, Thomas didn’t make more than one in each of his last seven games. Malcolm Thomas has created a real situation for himself to stick in the league. He can now run some pick and pop with a ball handler, which can help keep him on the floor. Thomas isn’t just going to block shots and grab a few boards. Although, teams will love the fact that he can challenge guys at the rim like this. He can shoot the ball, giving the guards and wings more space to get to the bucket when he steps out. Some buzz came his way after a Summer League record 22 rebounds in one game last year, but the addition of an outside shot really opens a new door for him. Thomas did get a steady diet of post touches and was pretty successful in cashing in with a short right jump hook when being guarded by a fellow big man (above) or power move to a near-dunk against a smaller defender like this one. Once he got himself going, teams doubled him several different ways, but in four full games (the two linked above plus 1/4 and 1/6) I only saw a double team beat him once when a weak side defender caught him by surprise as he turned. And here he looks over a double team – he recognized it then quickly fired to Luke Zeller for the right elbow jumper. I’ve been playing devil’s advocate with myself the last few days, wondering why a team hasn’t given him a long look at the NBA level quite yet. The shooting was probably a fair concern to have – we just hadn’t seen much of any kind of shooting from Thomas in games until this past season. NBA teams might consider him sleight of build, but a 6’9″, 225 pound power forward playing 10-15 minutes off a bench will be able to compete if he wants to. I’ll be at the Summer League in Vegas and I expect his name to be among the most talked about (outside this year’s top lottery picks) by fans and anyone I might be fortunate enough to bump into. Before wrapping things up with Chase Tapley, check out some of Malcolm Thomas’ D-League highlights. Chase Tapley was definitely a feature player at San Diego State – the Aztecs were able to run stuff through him. He did it all at that shooting guard position. He spotted up, ran around screens, hit the pull up jumpers, occasionally got to the rim, and ran some pick and rolls. Even though he is now playing basketball at a higher level, nothing has really changed for him. He’ll get to do all those things, especially in the D-League. C-Tap was visibly more comfortable on the floor with all his new teammates later in the season (3/28 and 4/5). Tapley poured in 18 points in 27 minutes in the final game of the season (8-13 FG, 2-4 3PT). He seemed to always streak down the floor on cue as a rebound or steal was picked up by one of his teammates. During his senior year at SDSU especially, I would rarely sweat a halftime deficit the Aztecs were facing because Tapley would often be good for what seemed like a solo 8-0 or 10-0 run in the second half. He would pick his spot and suddenly hit a three here, a pull up jumper there, get to the rim, then swipe a steal to get his team right back in the game. He’s a capable 2 guard at the D-League level. But to be fair, he did shoot just 8-28 from beyond the arc with Tulsa. Most of his looks were good ones; they just didn’t quite fall for him. I at least want to see more attempts from him before making any assumptions. As an SDSU fan, I am fully aware of my inclination to lean on what I saw him do in college. That stuff doesn’t matter now. He’s trying to make an NBA roster. But I remain very optimistic that those shooting numbers will look better if he’s back in the D-League in ’14-15. Some random goodies to toss in before I wrap this up: In a tight game in the 4th quarter, Tapley hit a nice floater and a leaning jump shot after attacking from the left wing. Those are important shots for any wing to make. Shooters will get run off the 3 point line by some teams; even just one or two go to shots off one or two bounces can keep shooters on the floor. Look at Danny Green of the Spurs. If he’s being indecisive and hesitant, he gets yanked. When he hit those kind of shots against Miami in these 2014 NBA Finals, you really knew it was game over for the Heat that night. That’ll do it for now. The D-League is certainly on the rise and I believe more NBA fans will appreciate it with each passing year. It’s not a wasteland of draft busts and undrafted free agents. There are only so many NBA roster spots. Some of those guys are on the same level with NBA rotation guys. Others are one or two more polished skills away from being really valuable. Full games are free on YouTube for our viewing pleasure. I’m sure any big basketball fan could find a player they really enjoy watching in the D-League. I’ll be back later this month with an update on Brandon Heath, who was back in the states in ’13-14, playing in…you guessed it – the D-League. Before you go, I’ll leave you of one last gif. SDSU fans, there’s no sweeter sight in our recent memory than a one dribble pull up jumper from C-Tap – bottom of the net, every time. Written by Benjamin Dull. Follow him on Twitter and check out his blog.